REBT Workshop - What is it? What does it do? Rational Emotive Behaviour Therapy (REBT) was developed in the 1950's. It is the original cognitive therapy which has many derivatives e.g. Choice Theory (Glasser) Cognitve Behaviour Therapy (Beck) Positve Psychology (Seligman). This 1 hour workshop looks at REBT, its philosophical underpinnings and the ABC Theory of Emotional Disturbance, the counselling model used by psychologists and counsellors the world over. Graduate teachers will say that amongst their main concerns when beginning their career is how to establish and maintain an effective behaviour education program. What models are there to base their practise on? How is their philosophy of learning reflected in their practise? Do they use a punitive approach to behaviour education or an educative one? 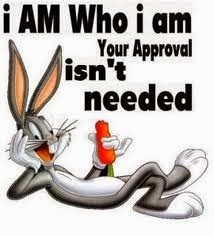 Bugs Bunny is self accepting! The workshop (above) is the first of a program of learning designed to help educators, counsellors and parent/carers provide a counselling based approach to behaviour education which helps students learn how to manage themselves constructively especially in challenging situations. 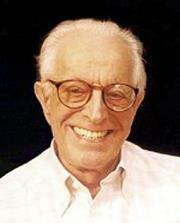 Albert Ellis may not be with us anymore but his work is as relevant as ever especially in the school setting!